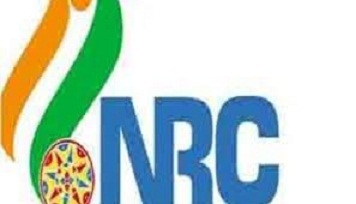 Around 73,000 people from Bihar, currently living in Assam, have sent their documents for verification to get included in the NRC. This was informed by the Deputy Chief Minister of Bihar, Sushil Kumar Modi on Monday. Supreme Court with a view to enlist Indian citizens living in the north eastern state. “About 73,000 people from Bihar have sent documents like certificates of birth and caste, Aadhaar cards, voter identity cards, certificates of educational qualifications, land records and driving licenses etc. to the Bihar government for verification through the government of Assam,” Modi said in a release. “So far, 52,110 documents have been sent to concerned districts, departments, or concerned bodies for verfication. Of these, 5418 have been duly verified and 3264 have been sent back to Assam,” he added. Modi said the Bihar School Examination Board has verified 4218 such documents, the maximum so far for any institution in the state. He also said the maximum number of documents have been received from natives of Saran district (8716), followed by (8022), Siwan (3874), Vaishali (3936), East Champaran (2951) and Darbhanga (1763), reports TOI. “All District Magistrates have been instructed to do the needful at the earliest so that Biharis living in Assam do not face any hardships,” Modi said.